OEM and service parts occupy a unique space in the supply chain. This is the spare parts inventory that is kept by an original equipment manufacturer and/or service provider in order to support their equipment at customer locations. Effective management requires an understanding of potential equipment failure, the overall install base, supply chain dynamics, and procurement contracts. Ultimately this requires a balance between service level promise and working capital investment. At SparePartsKnowHow.com 90% of our content is suitable for providing guidance on this type of inventory. In addition, OEM and service spare parts personnel who complete our ‘user owned spares’ courses can gain a greater understanding of their clients’ needs. For the best experience, we recommend OEM and Service parts managers take up our Full Access and Support Membership as this opens the door to all of our content. 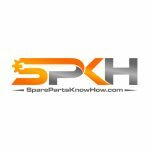 Click here to see the list of other OEM and service parts companies that have joined SparePartsKnowHow.com. 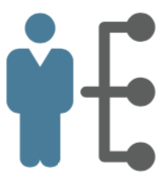 The Full Access and Support Membership is for those people who are managing spare parts inventories and want more than just training.